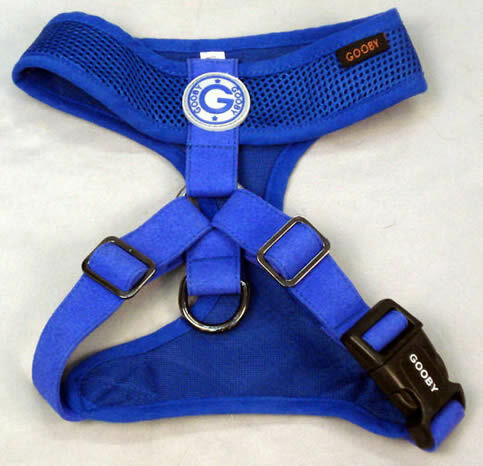 Your small dog will be comfortable, safe and adorable in the Freedom Harness by Gooby! 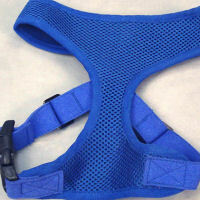 A comfortable, no-choke harness for your small dog! 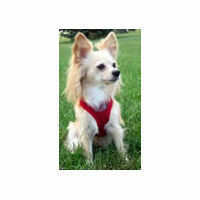 Wearing the Freedom Harness by Gooby, your small dog will be safe, comfortable and stylish! 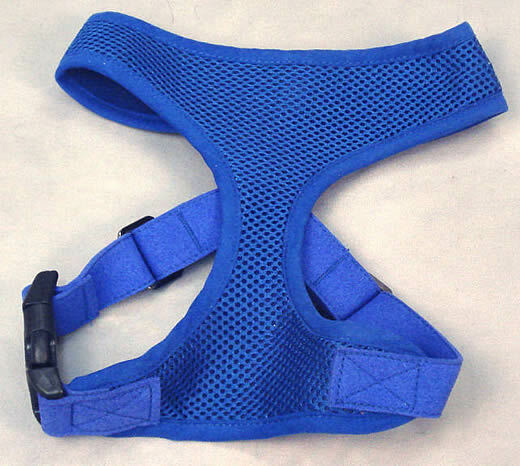 The chest and collar parts are made of a breathable mesh fabric that fits broadly across your dog's chest so he can walk comfortably. 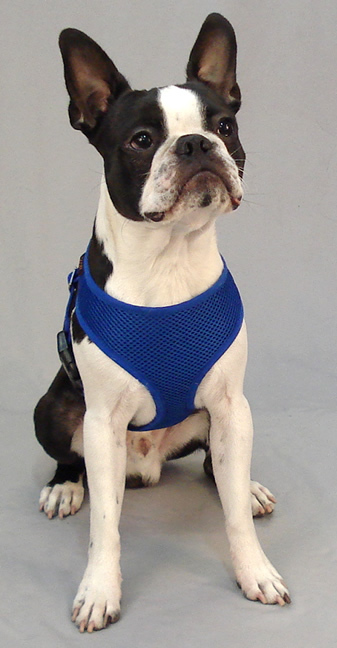 Any pressure from the leash is distributed evenly across your little dog's chest and shoulders instead of at his neck, since the leash ring is far back, behind the shoulder blades! 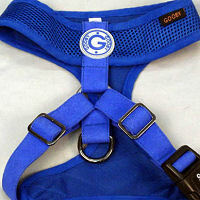 The straps are 5/8 - 1 inch wide (proportionate to the harness size) and feel like suede. 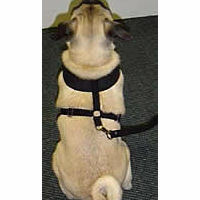 The collar portion is not adjustable, but the back straps are adjustable on both sides. 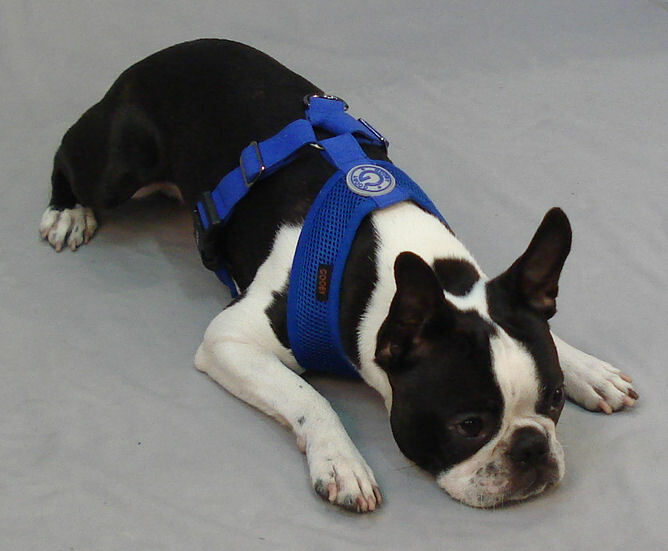 The leash ring and adjusters are metal, and the secure pinch clasp is plastic. 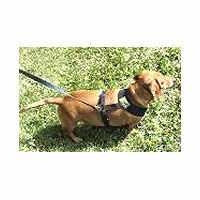 All the hardware is sized proportionately to the harness, so your small dog won't be dragged down by too-heavy hardware. 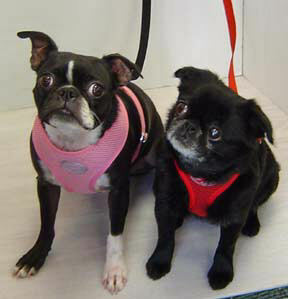 Golly is wearing the Red Freedom Harness, and Ceilidh is wearing the Pink halter. 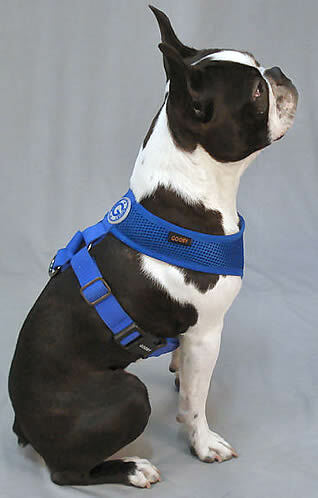 Ceilidh and Golly are also wearing the matching Freedom Leash (sold separately). 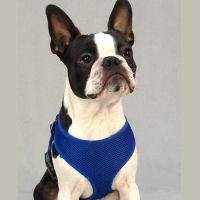 Booker (Boston Terrier) is wearing the Freedom Harness in the Cobalt Blue color. 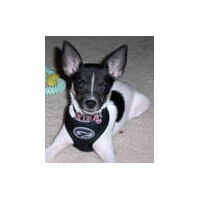 Click on his pictures above right to enlarge them. 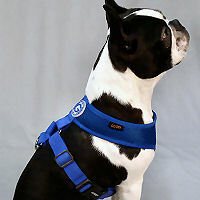 Machine or hand wash the Freedom Harness and air dry. 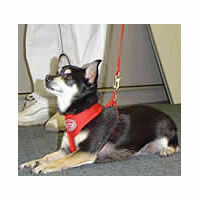 When measuring your little dog for the Freedom Harness, keep in mind that the neck is not adjustable and must fit over your dog's head and ears. Here's a diagram showing where to measure your pup (opens in a new window). 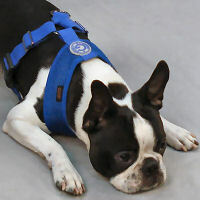 Here's a short video of Hope putting the Freedom Harness on Teddy, French Bulldog (size X Large). "The best. 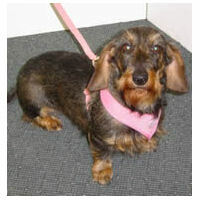 The extra small fit my baby, and now she is in a small. These are the best, very comfortable, easy to put on. 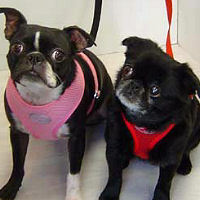 I have only seen them at Golly Gear! great customer service"